AC/DC have announced they will play in Spain during a major tour in 2016. The rock and roll hellraisers return to Sevilla for the concert on May 10. The gig at Estadio de La Cartuja Rock or Bust World Tour 2016 is the band’s only Spanish date. 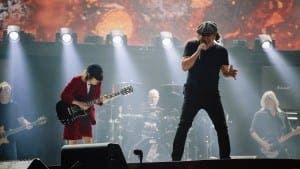 Angus Young, Brian Johnson and Cliff Williams have played in the Andalucian capital on numerous occasions in the past few years. Refunds, are they available for the ACDC concert in Seville on May 10th. 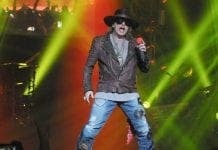 Now that their lead singer Brian Johnson has been replaced with Axl Rose ACDC are now not ACDC. The band should offer the fans the choice of a refund or not as the American gigs have had. Stuck with 5 tickets as we all do not want to see a tribute band! I am in the same situation. They are supposed to refund the tickets according to Spanish media but it is impossible to reach the organizer. I have written several emails to them but dont get an answer. The phone number they have given as a contact is always busy.